Barely two weeks after the March 29 press conference where Al Gore and a group of state attorneys general vowed to push ahead on potentially prosecuting "corporations and other organizations that have knowingly deceived the American people about the risks of climate change," a surprising news situation developed where Wall Street Journal reporters announced they had viewed a leaked email agenda printout detailing how a small group of environmentalists were scheming "to establish in public's mind that Exxon is a corrupt institution." Two days later, the Washington Free Beacon showed the printout, and other news outlets later referred to it and the environmentalist names within it, most prominently environmentalist lawyer Matt Pawa. 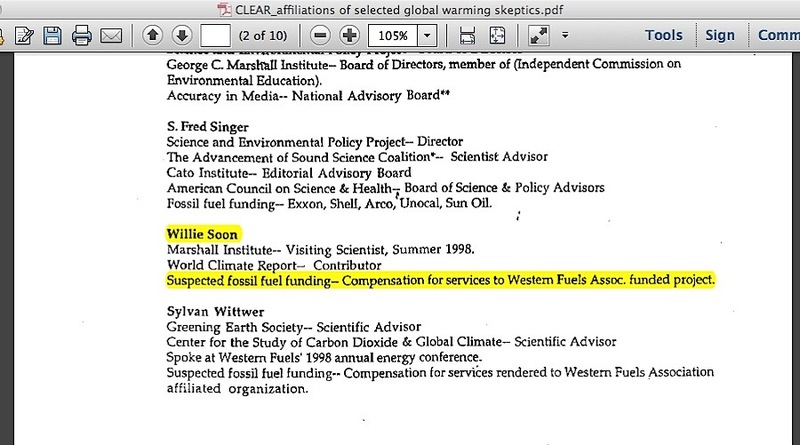 But Pawa is not simply a lawyer who tried to sue ExxonMobil on behalf of a small Alaskan village, and two other names in that leaked email, John Passacantando and Kert Davies, aren't simply guys with vague former connections to Greenpeace. All three fit the term for the type of people the police round up when a pattern of potentially illegal activity occurs: "the usual suspects." When it comes to the legally questionable effort to accuse skeptic climate scientists of fossil fuel industry corruption, these three apparently have a specific history of doing so for ten or twenty years. 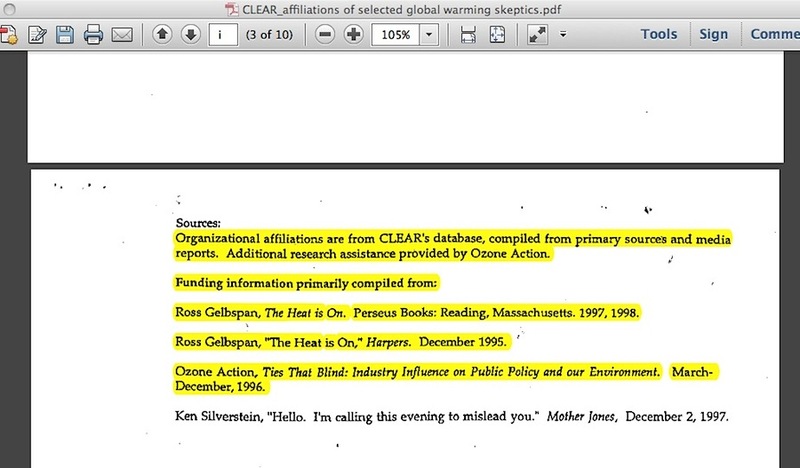 In my 4/15 American Thinker article "Gore's RICO-style Prosecution of Global Warming Skeptics," I detailed how Al Gore and global warming alarmist book authors Naomi Oreskes and Ross Gelbspan basically have only one piece of so-called evidence indicting skeptic climate scientists of corporate corruption – namely, that a long ago leaked set of memos was proof of a sinister industry-wide directive where such skeptics were supposedly paid to "reposition global warming as theory rather than fact" and that a particular old public relations campaign by the coal industry sought to misinform "older, less educated males" and "younger, lower-income women." 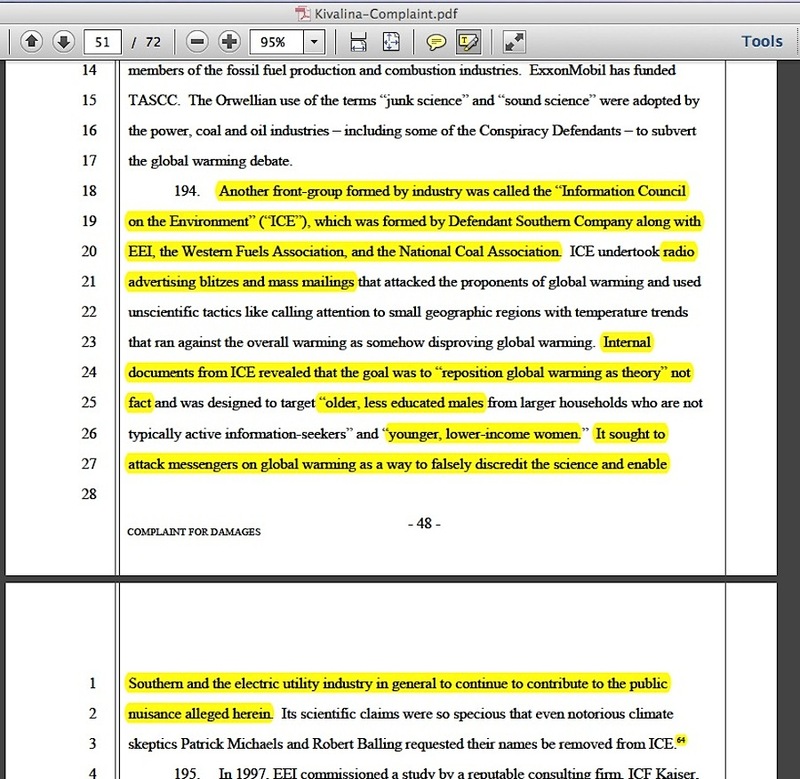 Matt Pawa repeated those exact words in his 2008 Kivalina v. Exxon lawsuit, (as seen in this screencapture photo) in order to make the case that the oil industry was engaged in misinformation efforts. Whom did he cite for those phrases? Ultimately, three out of his four sources spiral back to Ross Gelbspan. I first detailed those problems in a 2010 Breitbart article, "Global Warming Nuisance Lawsuits Are Based on a Fatal Flaw," which I partly reproduced recently with repaired web links at my GelbspanFiles blog. Next, John Passacantando is not merely a former Greenpeace worker with only a vague dislike of the oil industry. He was the co-founder of the long forgotten Ozone Action environmentalist group, which he merged into the USA arm of Greenpeace in 2000, while ascending to the position of executive director at Greenpeace USA. An archived Ozone Action page reveals that "[a]ccording to documents obtained by Ozone Action and by Ross Gelbspan, several ICE strategies were laid out including: the repositioning of global warming as theory, not fact." Neither Passacantando nor Gelbspan ever disclosed whom they obtained those documents from. Details in my 4/15 American Thinker article suggest that it might be worthwhile to investigate whether the documents came out of Al Gore's 1991-92 Senate office. 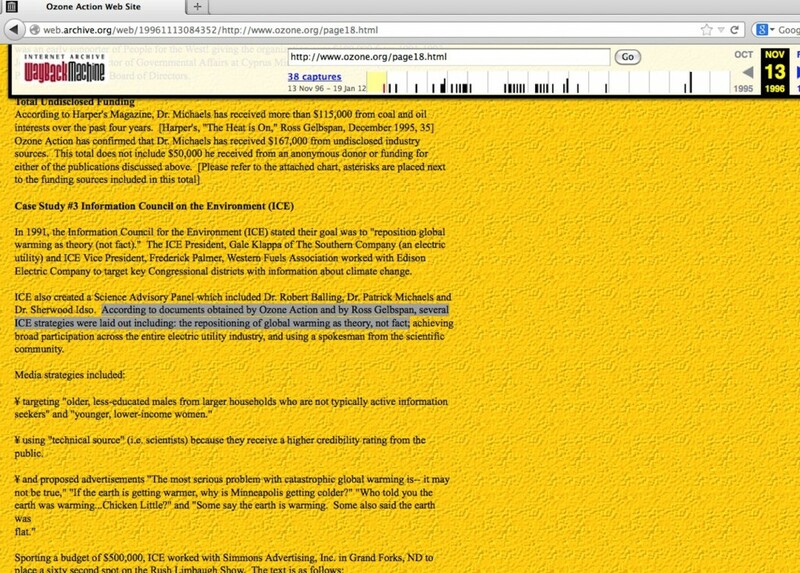 Then there is Kert Davies, not merely another former Greenpeace worker, but the former head of Greenpeace's ExxonSecrets website who also happened to work alongside Passacantando at Ozone Action. As I showed in an article last year, four different major newspapers used Davies as a source in their early 2015 reports about the so-called ExxonMobil corruption of skeptic climate scientist Dr. Willie Soon. The accusation is baseless and traces back to the time in 1998 when a variant of it was first seen at a report titled "Affiliations of Selected Global Warming Skeptics," which cited both Ozone Action and Ross Gelbspan as sources. Make no mistake about it: the small clique of people who seek to destroy the character of skeptic climate scientists are relentless in order to keep their beloved global warming issue alive. In a 2010 New York Times article that mentioned the dismissal of Matt Pawa's Kivalina v. Exxon lawsuit, the concluding paragraphs quoted an optimistic outlook from a Columbia University law school professor, who noted how the first efforts to sue tobacco companies had appeared to be weak as well. They lost the first cases; they kept on trying new theories, and eventually won big. It appears that Matt Pawa, John Passacantando, and Kert Davies, along with Al Gore, are trying out the new theory that going after "climate deniers violating racketeering laws" will finally silence people who criticize the notion of catastrophic human-caused global warming. But rather than winning big with it, is this now a situation that will expose that it's been a clique of enviro-activists engaging in racketeering efforts for the past 20 years? Russell Cook's blog GelbspanFiles.com is a forensic examination of faults in the corruption accusation against skeptic climate scientists, an outgrowth of his original articles here at American Thinker. He can be followed on Facebook and Twitter.